The Ultra Slim Lens 2 allows you to get closer than the Ultra Slim Lens 1 with 3X magnification. Art is a delicate process, and sometimes you need to get in just a little closer. With the Ultra Slim Lens 2 you can get more magnification than with the Ultra Slim Lens 1. The Ultra Slim Lens 1 offers 2.25X magnification, but the Ultra Slim Lens 2 offers 3X magnification of quality vision. 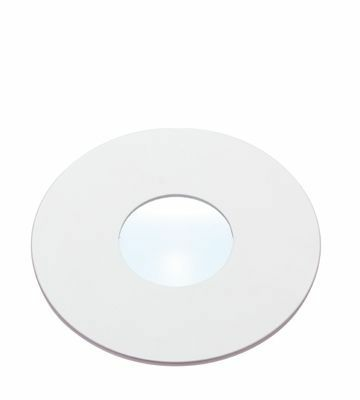 This quality lens is suitable with the product U22020, the Daylight Ultra Slim Magnifying Lamp. This lens allows you to get in even closer to your work so you can get the job done right. In a profession where detail means everything, you can not afford to get extra close to your work. While the Ultras Slim Lens 1 gives you 2.25 magnification, sometimes you need to get a little closer. Both products make great additions to the Daylight Ultra Slim Magnifying Lamp.